Goal Setting - Principles of Financial Management #7Eliminate The Muda! Last year I met a man that informed me that he had just started a new business as a luthier. He was just getting his shop set up, had finished an extensive course in some out of the way midwest school and was looking forward to being his own boss. Recently, we were given a vintage guitar in need of a little repair. Thinking of the new luthier that may like some business I called and learned that while he is a “luthier” he doesn’t do repair work. To be nice I inquired how business was going. He replied that he was still working on getting his shop set up and working on a marketing plan. He didn’t have a business, he had a dream! To achieve any goal, be it starting a business, making more, saving more or investing more you must start with a destination in mind. Without first establishing a destination you will likely never find your path to get there. Proper goal setting is a skill that is acquired over time. Learning about yourself and how much you can handle or how little can distract you is critical to successful goal setting. If your desire is a pie in the sky, grandiose dreams like becoming rich, how likely are you to achieve this goal if you cannot create a clear path for getting there? On the other hand if your only goals are short term such as survival each day with a few dollars left over, you may achieve your greatest potential. Successful goal setting begins with the big picture. What are your long-term, big objectives in life? Once these have been established begin breaking them down into smaller segments that can be accomplished through your stages of life. Each of these can be further reduced to yearly then monthly and even weekly or daily goals. Successful achievement of your life goals depends on combination of these short-term and long-term goals coupled together to help you achieve your desired results. For every financial principal from education to investing you should set short-term (1 week – 6 month) goals, mid-term (6 month – 5 year) goals and long-term (5 year +) goals. S – Specific and clear. You don’t set out to make more you set an objective to make $100 more a month, $2000 more this year and $15,000 more within 5 years. 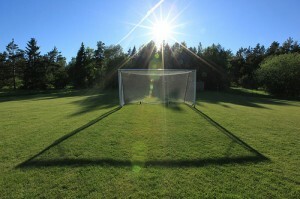 M – Measurable – Every goal should be measurable. Your savings rate this quarter should be 5%, 8% by year end and 15% in 5 years. A – Actionable – What are you going to do specifically to make more or increase your savings? Make a clear and written plan. R – Realistic – Don’t set goals that are not realistic. Make yourself stretch for them but make them plausible. T – Time Based – Like the quote above, any goal without a date is just a dream. Just like the last time you took a road trip, you had specific destination in mind and a targeted time for arrival. Without following the path you mapped out and maintaining your momentum you would not have arrived when and where you set out to. The same hold true for financial management, without SMART goals you will never get to your desired destination. The Keys To Achieve Your Goals « Eliminate The Muda! What's your magic number? The (literally) million-dollar question « Eliminate The Muda!